What could be more logical than a distribution partnership with the American manufacturer for Central Europe (Germany, Austria, Switzerland and the Czech Republic)? 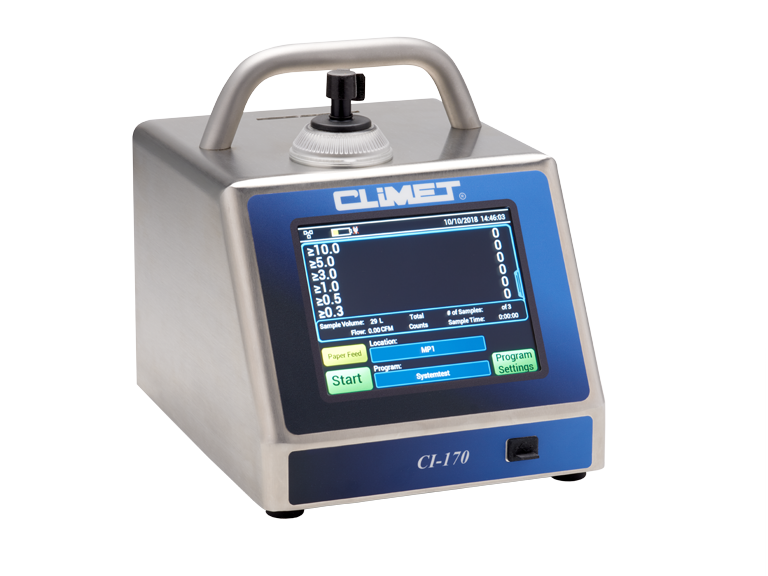 As a service provider for or operators of cleanrooms, you will receive Climet® Instruments at CRT with the advice of the user. 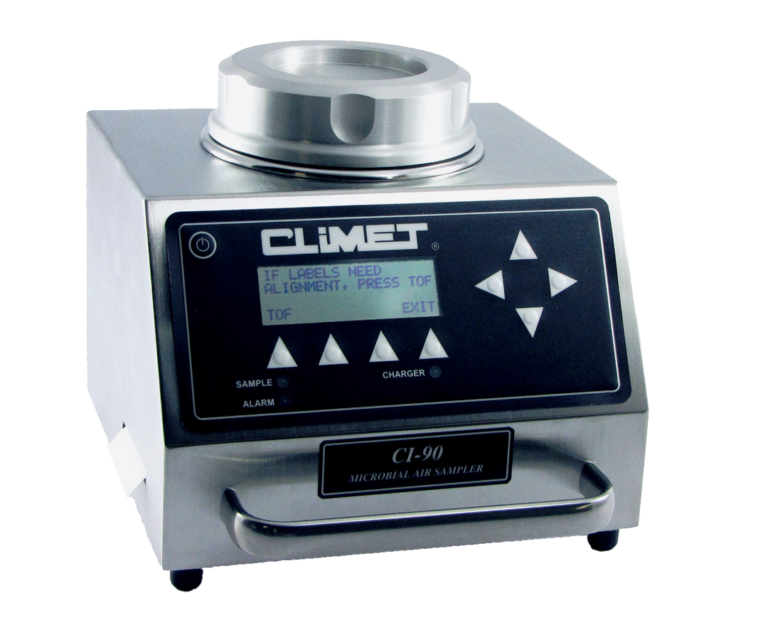 For more information on Climet® please visit the producer’s website. All units come with fully integrated thermal printer, integrated battery charger, color LCD capacitive touch screen display (pinch to zoom, swipe to scroll), stainless steel enclosure and HEPA-filtered exhaust, certified to ISO Class 3. 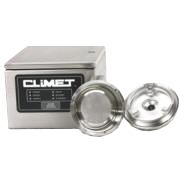 All Climet® devices are generally VHP compatible (Vaporized Hydrogen Peroxide). 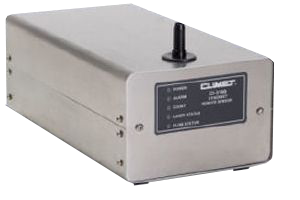 Each model is equipped with an RS-232 serial interface, Ethernet TCP/IP, and USB. In addition, a new LED light ring on the top face of the device allows for user-configurable status and alarms (5 colors). 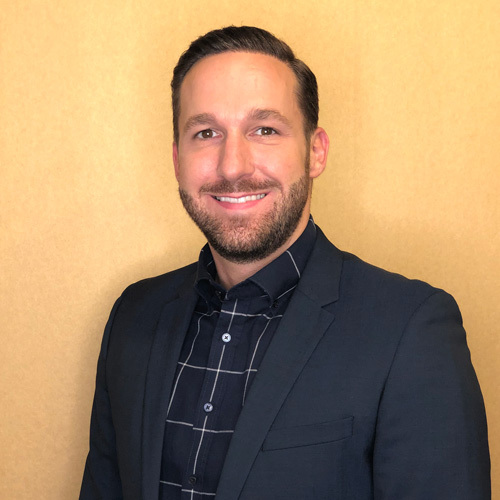 A valuable new feature is the audit trail function which allows direct export to PDF files without the need of additional software on a computer (fully compliant with 21 CFR Part 11). PDF reports of sample data can be generated for ISO 14644, GMP and FS 209e standards. Included accessories for all models of the x70 Series are a lithium ion battery, isokinetic sample probe (stainless steel), sample tubing (3m), zero count filter, thermal paper (two rolls), user manual, external exhaust fitting, USB flash drive, and US or EURO power cord. Two-years warranty and one-year manufacturer’s guarantee for all devices. 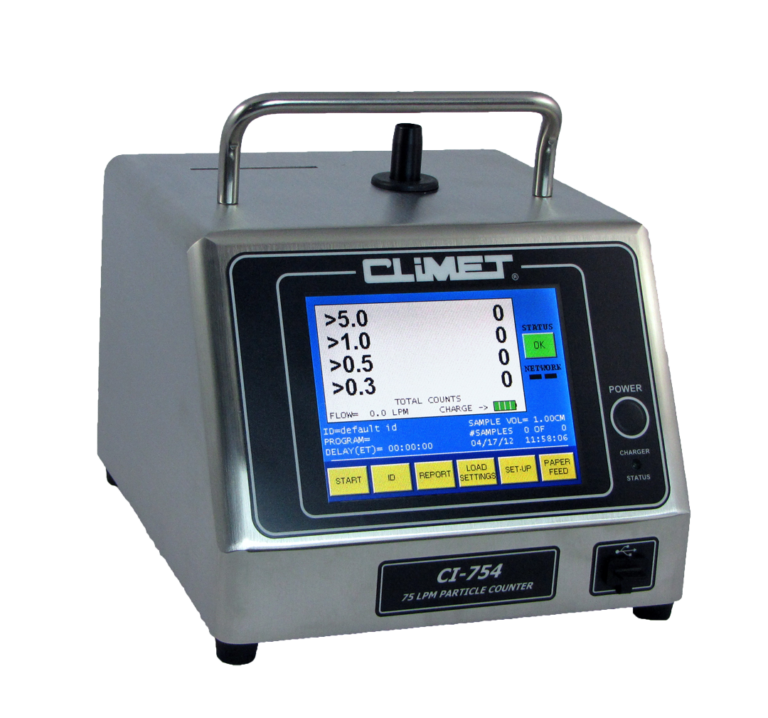 All units have an internal thermal printer, internal battery charger, color touch screen, stainless steel chassis, HEPA filtered and certified exhaust to ISO Class 3, RS-232 data interface, cloning support, and are VHP compatible. 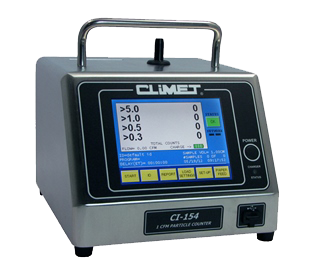 All models come with battery; stainless steel isokinetic probe with 10 feet of tubing; zero count filter; two rolls of thermal paper; cloning cable; IQ/OQ docs; user manual; external exhaust fittings (all models except for CI-150T); USB Flash Drive (CI-154, CI-156 only); Ethernet Modbus (CI-153, CI-154 only); Wi-Fi (CI-155, CI-156 only); US or EURO power cord; a two year warranty. 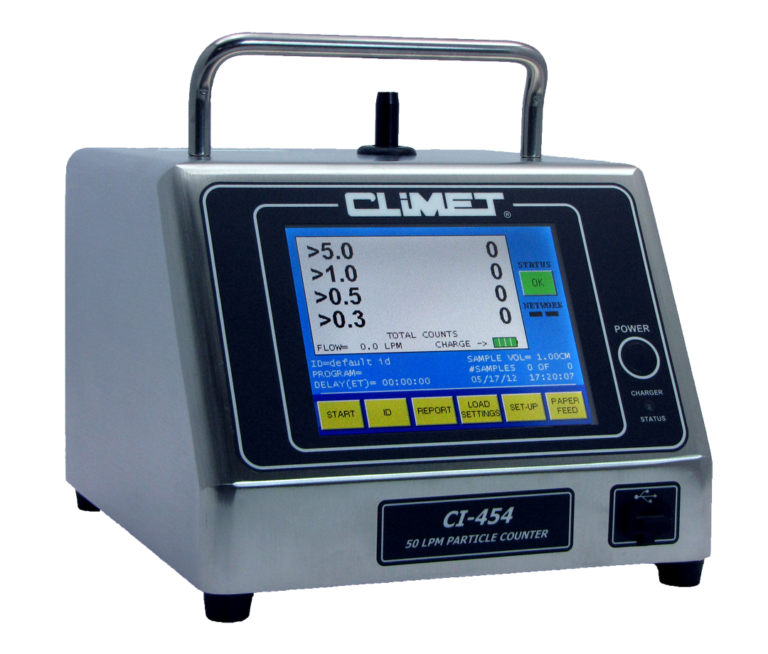 All models come with battery; stainless steel isokinetic probe with 10 feet of tubing; zero count filter; two rolls of thermal paper; cloning cable; IQ/OQ docs; user manual; external exhaust fittings (all models except for CI-450T); USB Flash Drive (CI-454, CI-456 only); Ethernet Modbus (CI-453, CI-454 only); Wi-Fi (CI-455, CI-456 only); US or EURO power cord; a two year warranty. 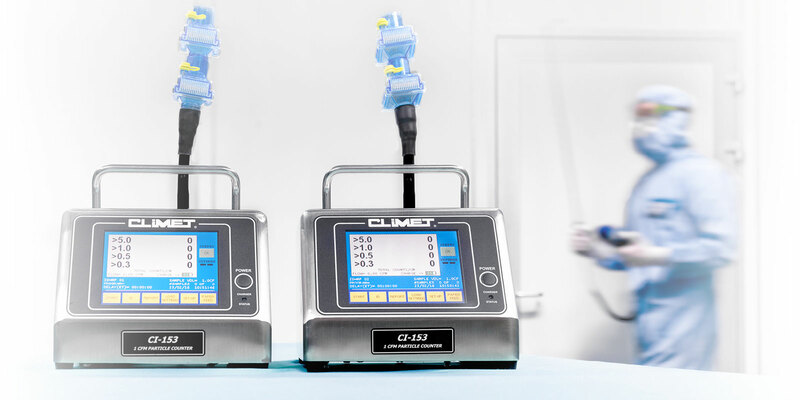 All models come with battery; stainless steel isokinetic probe with 10 feet of tubing; zero count filter; two rolls of thermal paper; cloning cable; IQ/OQ docs; user manual; external exhaust fittings (all models except for CI-750T); USB Flash Drive (CI-754, CI-756 only); Ethernet Modbus (CI-753, CI-754 only); Wi-Fi (CI-755, CI-756 only); US or EURO power cord; a two year warranty. 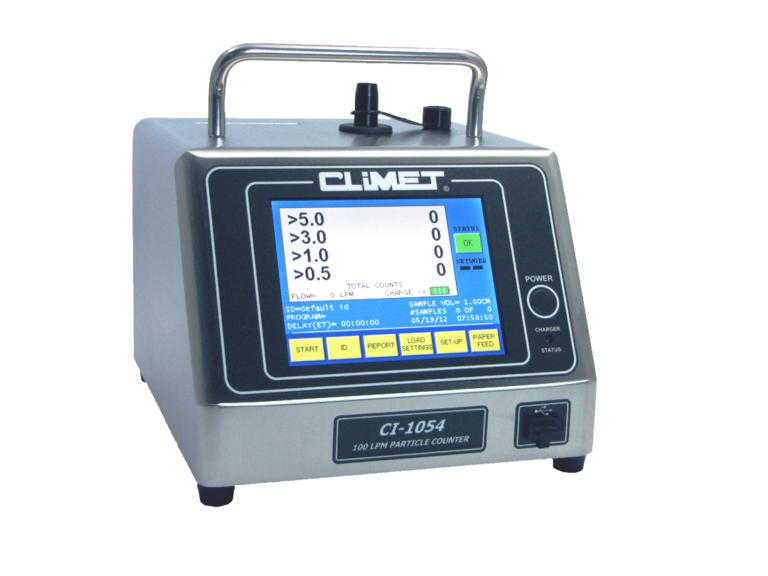 All models come with battery; stainless steel isokinetic probe with 6 feet of tubing; zero count filter; two rolls of thermal paper; cloning cable; IQ/OQ docs; user manual; external exhaust fittings; USB Flash Drive (CI-1054, CI-1056 only); Ethernet Modbus (CI-1053, CI-1054 only); Wi-Fi (CI-1055, CI-1056 only); US or EURO power cord; a two year warranty. 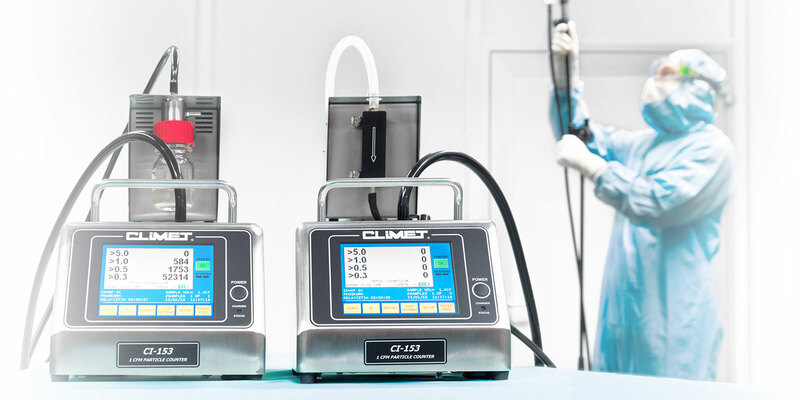 All units have an internal vacuum pump and VHP compatibility (Vaporized Hydrogen Peroxide). Regarding the data interfaces there is an individual choice between 4-20 mA (VAC US or EURO) with Ethernet, PoE+ (Power over Ethernet) or 4-20 mA with Wi-Fi. Up to 10,080 measured values can be recorded and saved using the internal memory. In addition, the device has a light ring for visual messages. 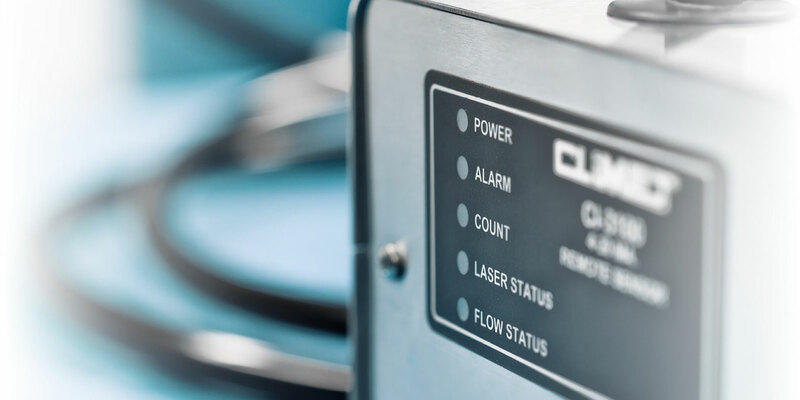 The flow rates are set to two standard particle sizes (0.5µm / 5µm); other non-standard particles sizes are available on request. All models come with a zero count filter, IQ/OQ docs, user manual, external exhaust fittings and a two year warranty. 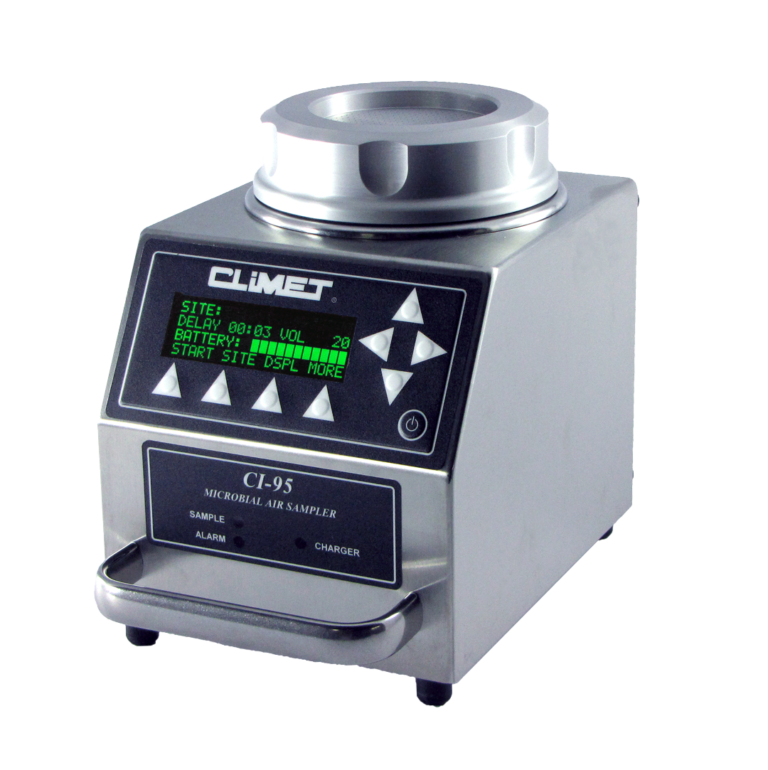 All units have an internal vacuum pump, individual choice of 4-20 mA or Ethernet data interface; external exhaust is optional. 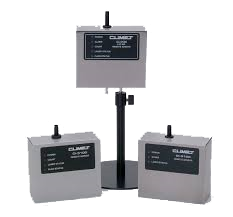 Individual choice of flow rates, and two of three standard particle sizes of 0.3µm / 0.5µm / 5µm; non-standard particles sizes from 0.3µm to 25µm also available; VHP compatible. All models come with a zero count filter; IQ/OQ docs (depending on model); user manual; external exhaust fitting (on select models); and US or EURO power cord on AC models; warranty of two years on Ethernet models, otherwise one year warranty. All units come with an individual choice of 4-20 mA or RS-485 Modbus data interface. All models come with a user manual and a one year warranty. 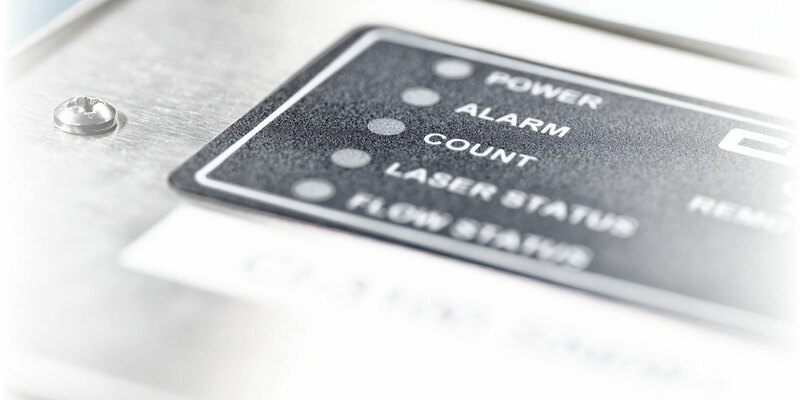 VHP Compatible Microbial Sampler for aseptic cleanrooms and similar environments. 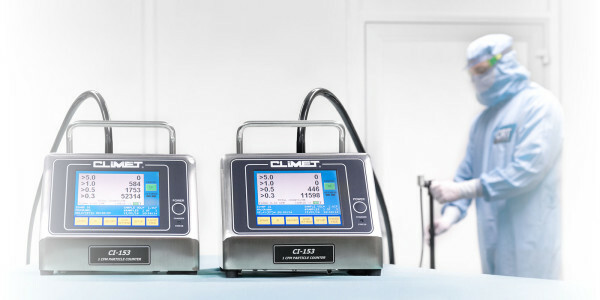 Included with each new unit is an internal thermal label printer, internal battery charger, battery, stainless steel locking collar, sample head (selectable between aluminum and stainless steel), HEPA internal exhaust, two rolls of adhesive labels, IQ/OQ docs, user manual, ID Loader Software and AC power adapter. Included with each new unit is an internal battery charger, battery, stainless steel locking collar, sample head (selectable between aluminum and stainless steel as well as different sizes), HEPA internal exhaust, IQ/OQ docs, user manual, ID Loader Software and AC power adapter. Supports Sample Segmentation: Users can sample a cubic meter in one sample, or segment a cubic meter over a user-specified period of time. 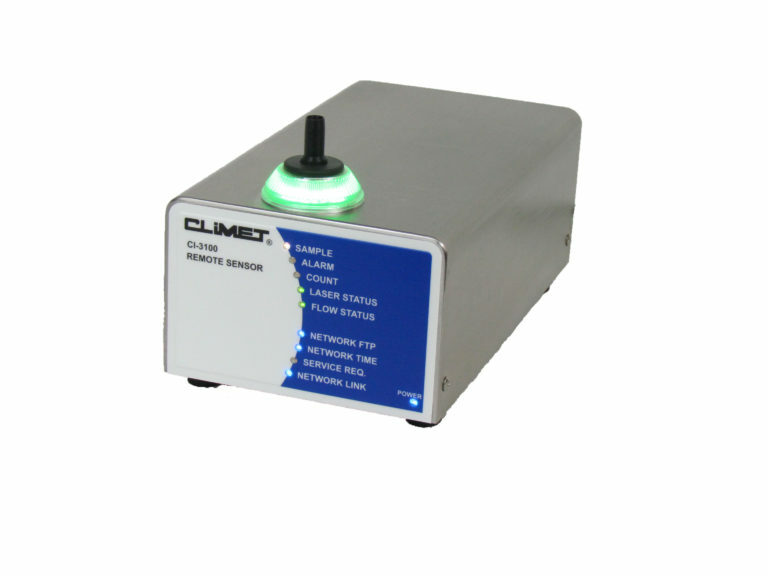 VHP Compatible Microbial Sampler for aseptic isolators, cleanrooms and similar environments. Included with each new unit are an AC power cord, Ethernet data connection, 4-pin connector, 6-pin connector, gasket and a user manual.